Flowers come in all colors, shapes, and sizes. The variety is astounding, but almost all, with only a few exceptions, qualify as pretty, and those that aren't actually pretty are usually interesting. For the last few years I've posted a video at the end of spring featuring the flowers that bloomed in my yard from the end of January to around the end of May. Out here in the desert that's when the various species present their blooms. Highlights of the season include Dutch irises in March, bearded irises in April, and then hollyhocks and poppies during May. 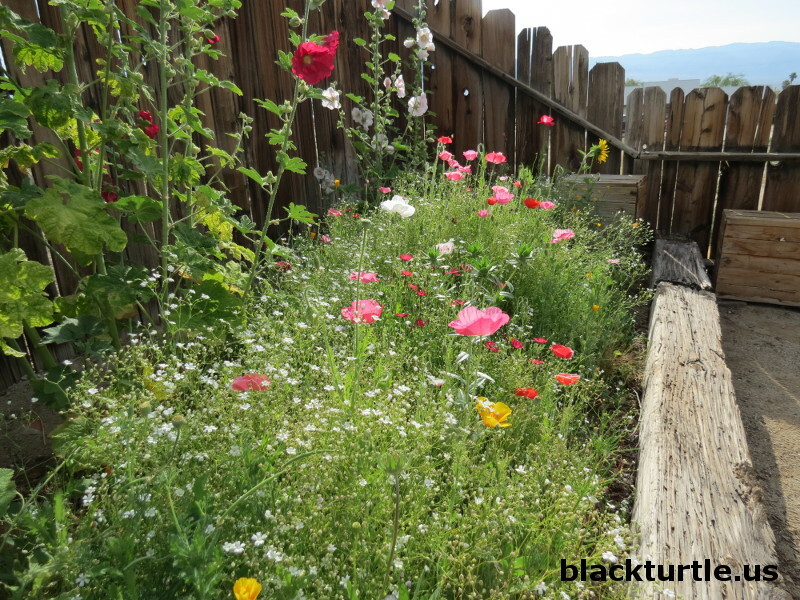 There are lots of other species represented in my yard including datura, scabiosa, ornamental garlic, morning glories, penstemon, daylilies, sunflowers, euphorbia, aloe vera, brittlebush, sweet alyssum, rock purslane, etc. Every year I try to find different plant species which are appropriate for the climate of the area and the soil in my yard. Also it's necessary to find plants that can handle the heat of the summer and the winter low temperatures, while not requiring too much water. New plants that can handle this combination of harsh conditions are always welcomed discoveries! Growing in the shade and in the sunshine too! Keeping bees happy and looking really cool!